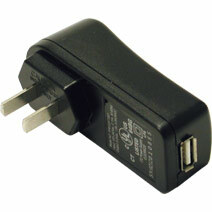 View cart “500mA DC/DC Universal Auto Adapter” has been added to your cart. Power your laptop computer and other AC appliances from your CAR battery. 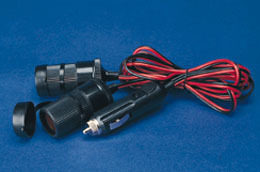 The 2-outlet Whistler DC/AC inverter plugs into your cigarette lighter or attaches to your car battery terminals to proide 300 watts at 110 volts (600 watts peak) wherever your car takes you. Use it to power your computer, vacuum cleaner, buffer, even a color TV! Indicator light tells you when voltage is low. Unit shuts off automatically if there’s a short circuit, excessive temperature or voltage overage. On/Off switch. 300 Watt continuous/600 Watt peak. 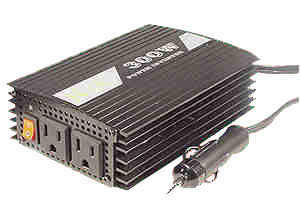 Output Power Rating: 300 Watt/35 Min. No load current draw: <0.2A. Output Voltage: 110-125 Vac RMS. Low battery shutdown: 10.0 V.. 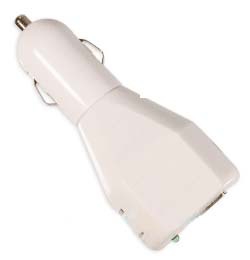 Input Voltage: 10.5-15.2 V. Outlet on inverter: Two North American Standard AC receptacle. Back With High Speed Cooling Fan. 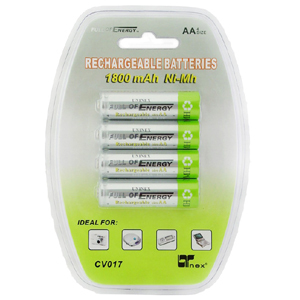 External Car Battery Cable Kit Included.